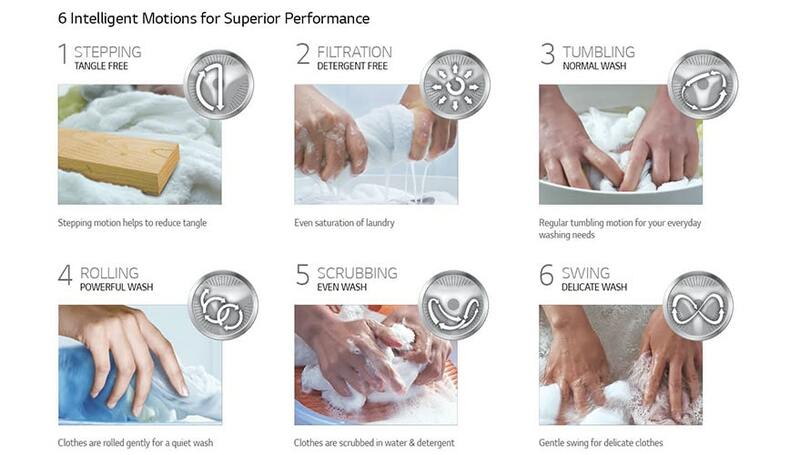 6 Motion Technology with 6 different types of motions- Scrubbing, Rolling, Stepping, Swing,Tumbling and Filtration, combines the force of water and the rhythm of motion to cater to all kinds of washing needs. Depending on the type of cloth & dirt level, clothes are washed changing the motions. It also provides you less damaged, less tangled and cleaner clothes. In LG washing machine with Inverter Direct Drive Technology, the motor is directLy attached to the drum without using a belt or pulley. 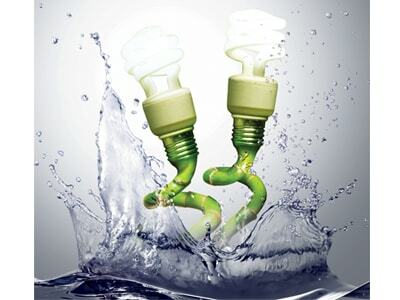 Lesser mechanical parts ensures least energy dissipation which enhances the washing performance,ensures minimal noise and vibration,more durability and energy saving. Inverter Control System generates less speed fluctuations and consumes the exact amount of electricity needed at every step. This not only saves you water and energy but also ensures optimum washing performance. Constant use of the washing machine results in the development of fungus and toxic substances in the tub area of the ordinary washing machine. The Tub Clean function in the LG Steam Washer Dryer uses hot steam with high spin speed to sterilize every corner of the tub. The tub remains disinfected, & so do the clothes. LG Steam machine takes care of the clothes and also the health of its customers. With the baby care feature the temperature reached upto 95 degree celsius, all enzymes & bacteria are removed,also the gentle motor takes care of the quality of the clothes.Also no detergent residue remains in the clothes. After a rinse cycle, clothes stay suspended in the water without entering into the spin mode. The rinse hold cycle gives the option of an additional rinse cycle to release the rinse hold before entering the spin cycle. It prevents foul smell thereby maintaining the freshness of the clothes. By eliminating the belt and pulley, LG Direct Drive ™ system makes that there are more such noises caused by friction. The motor connected directly to the center of the drum, and creates greater swing stability.